Eddie Bravo is known for being one of the modern brazilian jiu jitsu innovators, but when we all think about BJJ in MMA, the name Rickson Gracie should come to mind. Rickson Gracie was the first of the Gracie clan to really find a way to utilize BJJ in fights on a high level like he did. So, in that regards, Rickson Gracie is a hero to many who know and understand BJJ, including Eddie Bravo. Rickson Gracie was on the Joe Rogan Experience this week along with Eddie Bravo and this video that was released shows Bravo demonstrating some of his contributions to BJJ to the legendary Rickson. 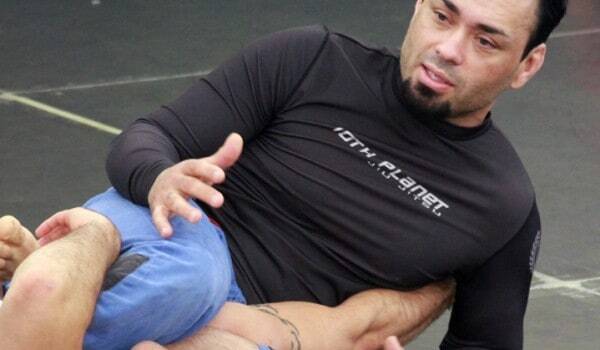 So watch Eddie Bravo nerding out with Rickson Gracie, it’s almost kind of cute in a way.